What would happen if one of the most notorious leaders of all time was brought back to life? Vlad Petrovsky, a fanatical scientist, elects himself as the saviour of his homeland. Entering the world of confectionary, he sees an opportunity that is truly once – or twice – in a lifetime. But Lenin doesn’t come quietly – after he is resurrected, he leaves a trail of confusion, calamity and pandemonium, calling for a countrywide revolution. It’s not long before he faces the world. Part of the group to control the madness, Vlad and his friends must race against time to devise a plan to contain the reanimated politician. Along the way, Vlad finds himself forming unlikely friendships, in the middle of a fast-growing revolution, and chasing Lenin all over the world. 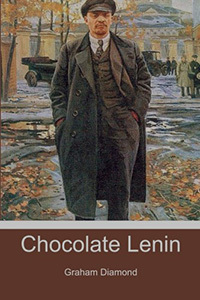 Chocolate Lenin is a tense, action packed satirical work of science fiction. 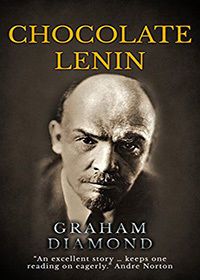 In this quirky, humorous adventure, Diamond brings to life one of the most well-known figures of twentieth century history, and he isn’t afraid to cause mayhem.